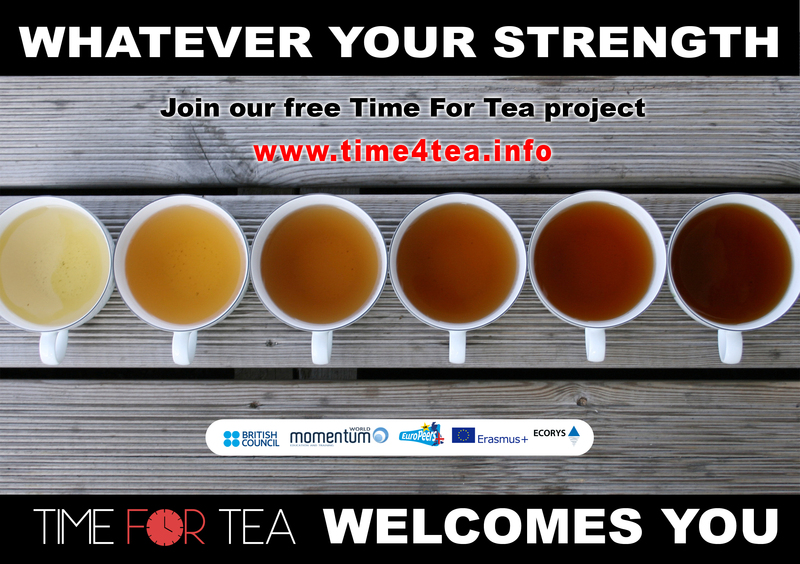 The purpose of Time for Tea is a simple, accessible and low cost project framework that children and young people of any age, background or ability can take part in, either through schools or in informal groups. It is an activity that requires only the lightest of input from hard pressed teachers, but is perfect for students themselves to lead. The original inspiration comes from the story of the peace activist Satish Kumar, who also delivered packets of tea to world leaders 50 years ago. Satish is a supporter of the current Time For Tea project. When busy people have a cup of tea, they stop and think for a moment. Our leaders are no different. So what would you like them to think about while they drink their tea? Groups of young people or children from the UK and other countries will imagine a short message/slogan that they think is important. They will decide which leader they want to hear their message. They will buy some tea, and then design the most original and creative box or packet for it. They will put their message inside the special packet. Finally they should find an interesting way to deliver the message to the leader they have chosen. All they are asking is that the leader should spend 5 minutes having a nice cup of tea and thinking about something which young people say is important. This project can fit into a regular school curriculum in all kinds of ways. Use a science, geography or business studies lesson to teach children about tea production and trade. In citizenship talk about campaigning and lobbying. Get the art department to work on packaging design. Media studies can help with film-making or getting support from journalists. Cultural studies might look at the social use of tea in the UK or other parts of the world. Photography can record the process. ICT can get your story on to the Web. Combine all of these and make “Time For Tea” a whole school project. Each group will be given the opportunity to share their experience: a specific space will be created on this website for each Time For Tea project. Activities should be recorded through photos or videos telling a story “step by step”. A blog has been created for the project, and we also encourage the use of any other social media. We also want to make “T-Day” an internationally recognised day every year, when young people all around the world will speak and leaders will listen. What does your group want to say about the world, to the world? Who do you want to hear your message? – someone local, national, international…? Who do you think would listen to you and drink your tea? Think of an unusual way to send or deliver your gift… and then tell us all about it so we can add you onto this website. Starting August 2017 The International Project is a Erasmus+ funded programme involving teachers, youth workers and organisations from over 18 countries. Training for participants will take place during August at Brunel University and October at Newlands Park residential centre. Participants will go away and run Time 4 Tea in the respective countries before meeting again in London in April 2018 for a big showcase event. The project will involve 100’s of people and stories/films will be shared on this website – sign up for the newsletter (click here) to be kept informed of how a cup of tea can change lives.